The Warlock of Firetop Mountain. I checked it out of my local library at the start of one Summer holiday and spent the next 6 weeks trying to play through as many FF books as I could lay my hands on. 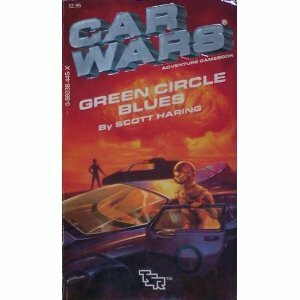 Creature of Havoc is my favourite FF book but I still have a real soft spot for the Car Wars gamebooks. For an absolute newcomer, any of the Choose Your Own Adventure of Decide Your Destiny books as the reader doesn’t have to contend with any rules, just play through the book. 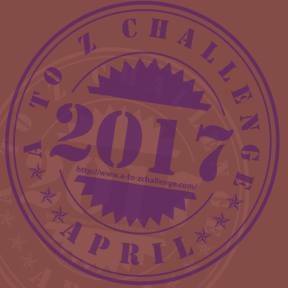 For somebody with a little bit of exposure to gaming, Any of the first 5 FF books or one of the Gamebook Adventure apps for iOS and Android. Read book. Roll dice. Kill baddies. Steal treasure. Become a hero. Reading a ‘normal’ book is a very passive experience that is essentially the same over and over again; the text remains the same on every subsequent reread. Games, be they of the video or tabletop variety, require extra effort or equipment on the part of the player and, with the exception of smartphones and handheld consoles, need space to play. A gamebook can be opened almost anywhere and played, and never runs out of charge just as you’re about to tackle the end of level boss. 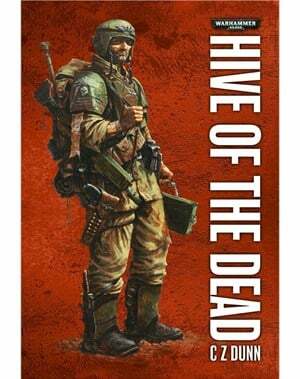 Where did you come up with your ideas for the story to Hive of the Dead? The story is set against the backdrop of the 13th Black Crusade, which is a well-known event in the Warhammer 40,000 timeline and the planet on which it is set, Subiaco Diablo, and the plague zombie outbreak was also pre-established. As for the story itself, I think I hit most of the tropes of the zombie genre while paying homage to a lot of my favourite movies, games and books. One of the things that always bugged me while playing gamebooks growing up was that you didn’t have access to all of the memories and knowledge of the character you were supposed to be playing. In Hive of the Dead, the player wakes up with amnesia in a prison cell and has to piece together his recent history as well as survive a zompoc! How was it decided that you needed a Warhammer 40000 gamebook? The range was originally mooted about 6 years ago and although my proposal was accepted, it was decided not to proceed with the range at that time. Fast forward a few years and Black Library were in the process of setting up a Print on Demand range to allow some of their older titles to come back into print. I suggested that we also put out PoD gamebooks as a way of generating original content for the range and surprisingly everybody who needed to approve it gave it the green light. 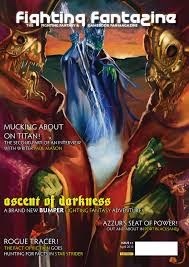 As Hive of the Dead had already been through the editorial process, we decided to launch with it. 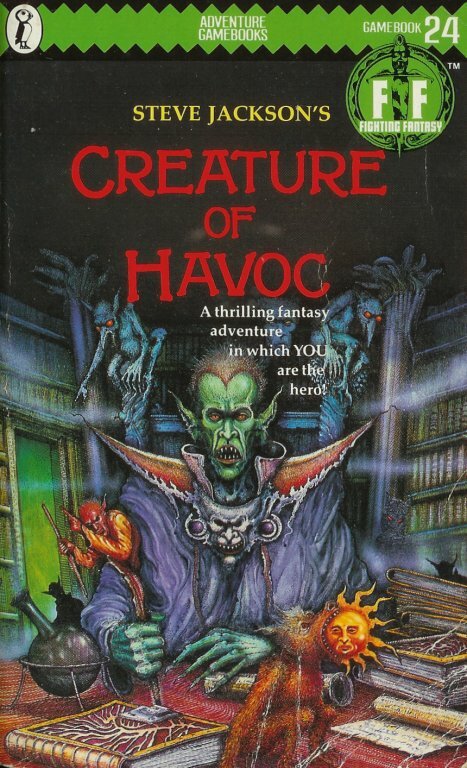 Was the Warhammer system easy to adapt to a gamebook? Did you have to make many tweaks (such as have a basic and advanced game)? The system itself was very easy to adapt but whereas I’d gone for quite an in-depth ‘simulation’ approach to the rules, various editors said it was too complex so my original draft became the advanced rules and a stripped down version were developed for the basic system. The hard part was balancing the encounters. The first printing is impossible to complete without manipulating dice rolls so the subsequent printings have modified stats for almost all of the encounters. How should a gamebook game system differ from a tabletop game system? A gamebook system should be easy enough to remember without having to scramble back to the rules pages every time you enter combat – any tables you need to refer to should be there on your character sheet for reference while you’re reading. A gamebook system should only really handle combat, encumbrance and practical skills with the narrative dealing with everything else. What does a gamebook have that a tabletop RPG does not? You can play them virtually anywhere without the hassle of having to set the game pieces up or find somebody else to play with. Planning. There’s no point in starting to write a gamebook without a proper plan in place. In my case, that was a 400 spreadsheet, colour-coded and showing all of the ‘chokepoints’ so I knew where the narrative had to link up. I wrote the first 40% of the manuscript in Excel and then copied it over into Word to flesh out the paragraphs. What have you got coming up in terms of your gamebook/Warhammer projects? Will there be a Fantasy Warhammer gamebook? 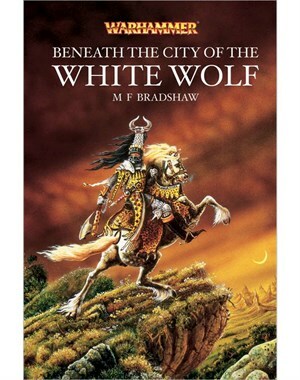 The first Warhammer Path To Victory book – Beneath the City ofthe White Wolf – went on sale at the start of April. After that we have two Jonathan Green titles before the end of the year, Herald of Oblivion and Shadows over Sylvania. The first is very reminiscent of the Space Hulk video and boardgame while the latter sees you taking the role of a Vampire very much on the back foot as your army has just been defeated in battle. After that we have tentative plans for a Grey Knight (psychic Space Marines) Path To Victory title as well as a map-based book set in the Ogre Kingdoms. We’re also accepting gamebook pitches so take a look at the Black Library website for details. Apps. There are still so many places the gamebook can go and almost all of them are digital. Do you have any other websites besides you blog and Twitter account? Just the blog and Twitter at the moment. So there we go - check out Christian's blog and Twitter feed. You can buy Hive of the Dead here and Beneath the City of the White Wolf here.